The double triple crochet (abbreviated dtr) creates a loose and holey fabric. Double triple crochet is commonly used in lacy designs, particularly doilies and other fine cotton crochet patterns. 1Do 15 chain stitches (ch 15). This step creates a foundation chain. You make these stitches for the turning chain. 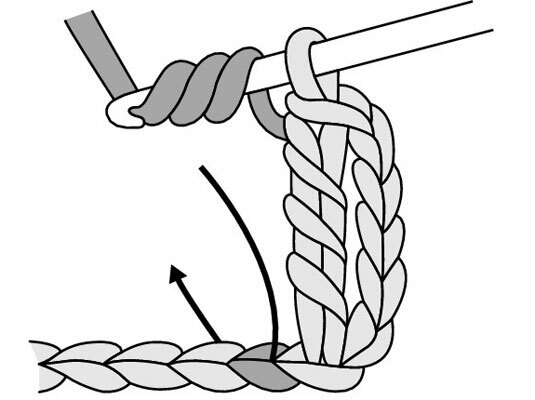 3Yarn over the hook (yo) 3 times and insert the hook in the sixth chain from the hook. 4Yarn over the hook and gently pull the wrapped hook through the center of the chain stitch, carrying the wrapped yarn through the stitch. You should now have 5 loops on your hook. 5Yarn over the hook and draw your yarn through the first 2 loops on your hook. 4 loops remain on your hook. 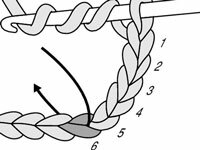 6Repeat the preceding step three more times until you have only 1 loop left on the hook. One double triple crochet (dtr) stitch is complete. 7Begin a new double triple crochet stitch in the next chain of your foundation chain. This step finishes the row. 8Work 1 double triple crochet stitch in each successive chain across the foundation chain. Make sure that you yarn over 3 times before inserting the hook in each chain. When you finish the row, you should have 16 double triple crochet stitches in Row 1 (counting the turning chain as 1 double triple crochet). You must turn your work to start Row 2. 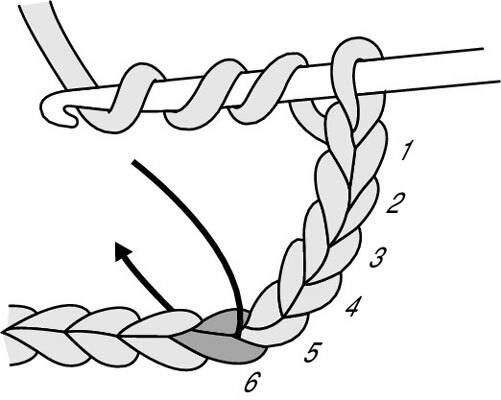 10Chain 5 (ch 5) for the turning chain and yarn over the hook (yo) 3 times. 11Skipping the first stitch of the row directly below the turning chain, insert your hook in the next stitch. 12Repeat the preceding steps in each of the next 14 double triple crochet (dtr) stitches. 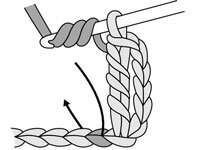 Follow the steps from pulling the wrapped hook through the center of the chain stitch until you have only 1 loop left on the hook. 13Work 1 double triple crochet stitch in the top chain of the previous row’s turning chain. You should have 16 double triple crochet stitches in Row 2 (counting the turning chain as 1 double triple crochet).